Had some issues with the manual lens on the Samsung not providing exposure information on Photoshop so I tried Luminance HDR, which is more or less donation ware and available for the Mac and found it to be a pretty decent program. Maybe didn't provide anti-ghosting to the level of PS but all in all a great option for HDR. I also ran it through Topaz. 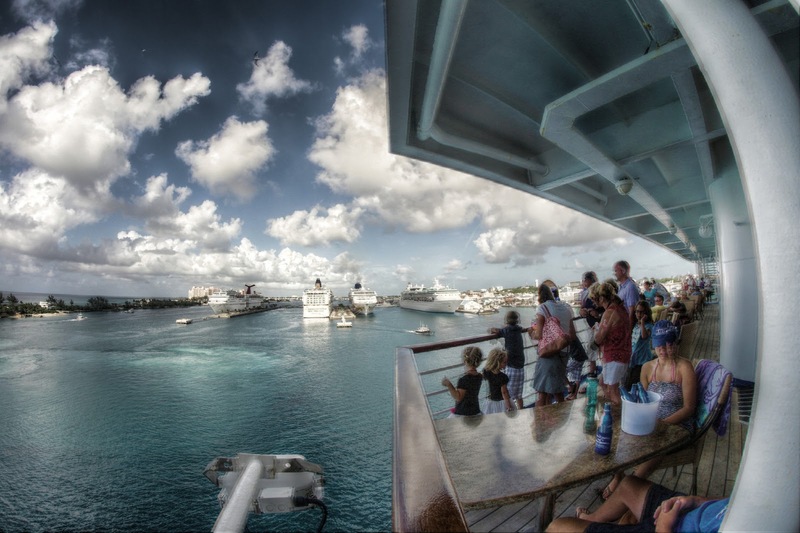 This shot is leaving Nassau harbor and proceeding to Grand Bahama and Freeport on the Carnival Fantasy. Great trip.